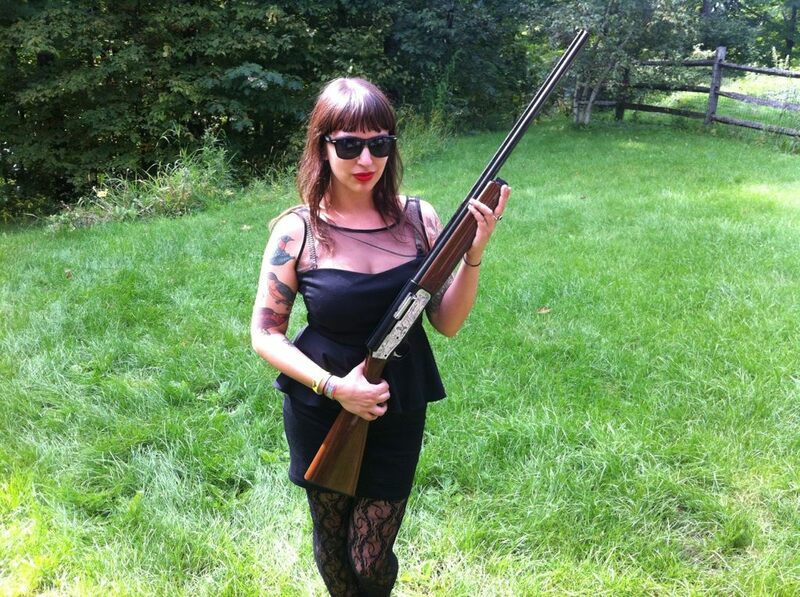 [Photo] Hot Goth Chick (With a Gun) – i swear to goth. Jamie’s got a gun. Hot. Every blog needs photos to celebrate beauty, right? I was instantly inspired by this badass pic of Jamie and thought “I need more hot gothy chicks on my blog” and hence, “Hot Goths” was made into a new category on I Swear to Goth. Jamie resides in Brooklyn, where she is pretty much the coolest chick ever. This is all biased: We’ve been friends for many years. And I swear, we’re not related. Follow her on Twitter or something. Want to contribute? Make sure it’s your own personal photo, you have everyone’s consent and send it my way! Also accepting hot goth boys. Please.